$14.99 $17.00	Get Your Stuff! 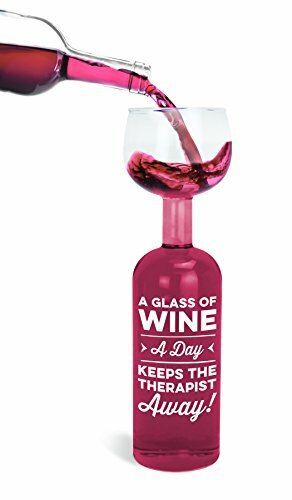 The BigMouth Inc Original Wine Bottle Glass - "A glass of wine a day keeps the therapist away", is one of the five new exciting designs created by BigMouth Inc! Just what the doctor ordered - a great gift for every wine lover! It holds an entire 750mL bottle of wine-or just one serving *wink wink. 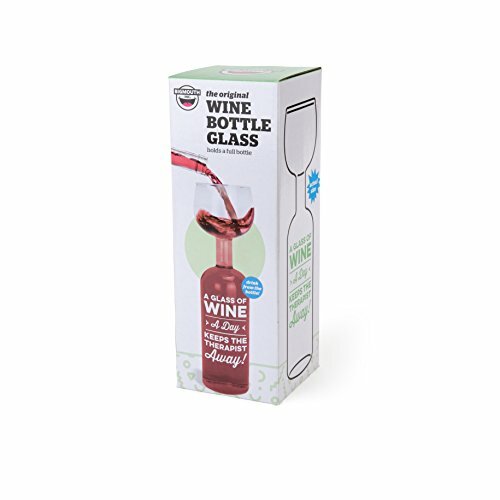 If you’ve heard that a glass of wine a day is good for you but, it just never seems like enough, you need the Wine Bottle Glass. 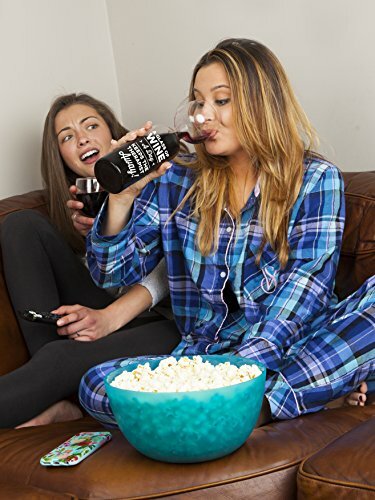 This is a hilarious gag gift and it’s great for the wine snob in your life (even if it’s yourself). As an added bonus, you’ll no longer be lying to your doctor when they ask about alcohol consumption. You’ll be telling the truth when you tell them “just one glass of wine a night”. Dimensions: 3.1 x 3 x 11.4 inches. Holds one serving (equal to one standard bottle of wine). Works best with red wine so you can easily read the text. Warning, the text may be all blurry by the time you empty the glass.